The art work in Steampunk Fashions is by Marty Noble, who is one of, in my opinion, the best artists that Dover’s utilizes. Ms. Noble also created one of their other two steampunk coloring books, Steampunk Designs. 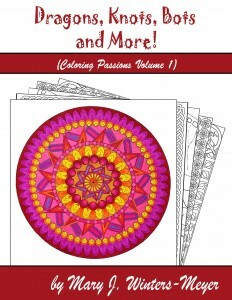 As with all book selections in the Dover Creative Haven line of coloring books, pages are printed on one-side only, and on very nice paper. It is not the best coloring paper you can buy, but is better than average. Pages are perforated so they can easily be removed from the book which makes coloring easier. This also makes it possible to use watercolor pencils or markers without bleeding on the other pages. I recommend a well-sharpened pencil or a fine tip marker for the intricate detail. The newly released Steampunk Fashions is the combination of two very popular coloring motifs – fashion and steampunk. This selection is more detailed than their previous book titled simply Steampunk. I found the details on some pictures to be overwhelming and am postponing starting them. If you love steampunk and/or fashion and you love detail, this is the book for you. The fashions are funky, beautiful and original. I must give a little warning though. The pictures on the cover are some of the simpler drawings in the book. Expect more detail from the others. 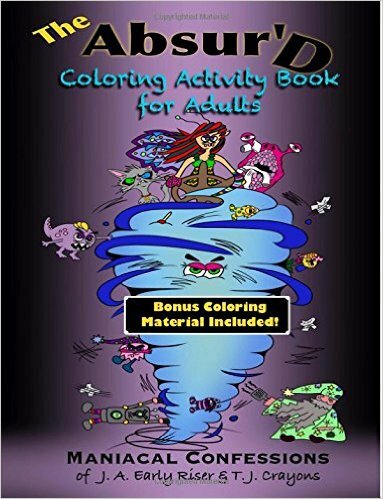 If you are someone who colors for relaxation or someone who has problems with coordination or vision, this is probably not the book for you. However, not every page is super detailed, it is about one-third of the book. Design Borders: Various. Line Borders, often with design to the edge. I love the freedom of steampunk. It’s funky, futuristic fashion you can color in any way you chose. No worrying about coloring a bird correctly, as that bird might just be a machine. If you want the challenge of fine detail, just make sure you have a highly sharpened pencil or a fine tip marker for those pictures with more detail. This is a beautiful detailed book filled with exciting, modernistic fashions and beautiful ladies. If you love all those things, you will love this book. I am disappointed at the pages that seem too highly detailed but I love the book enough to tackle them anyway – after I do the easier ones! 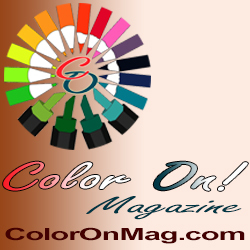 Dannie Aasted is a published author and has appeared in the first copy of Color On! Magazine. She is an avid colorist and loves collecting coloring books, including vintage ones. She discovered coloring as an Inner Child activity and kept at it to help with stress and anxiety. A year later, and a lot more focused, coloring has become a permanent part of her hobbies. She can be contacted at dannielynn3370@hotmail.com, or on Facebook as Dannie Lynn Aasted, and looks forward to chatting about coloring.